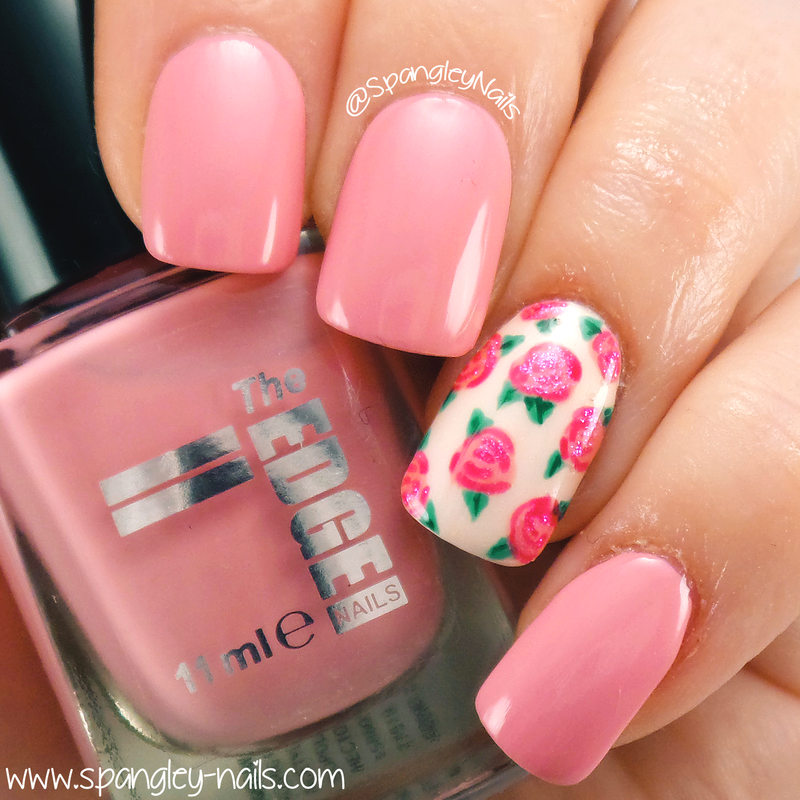 Spangley Nails | UK Nail Art Blog: EDGE NAILS: AM I ON THE EDGE OF MY SEAT OR TAKING A BACK SEAT? 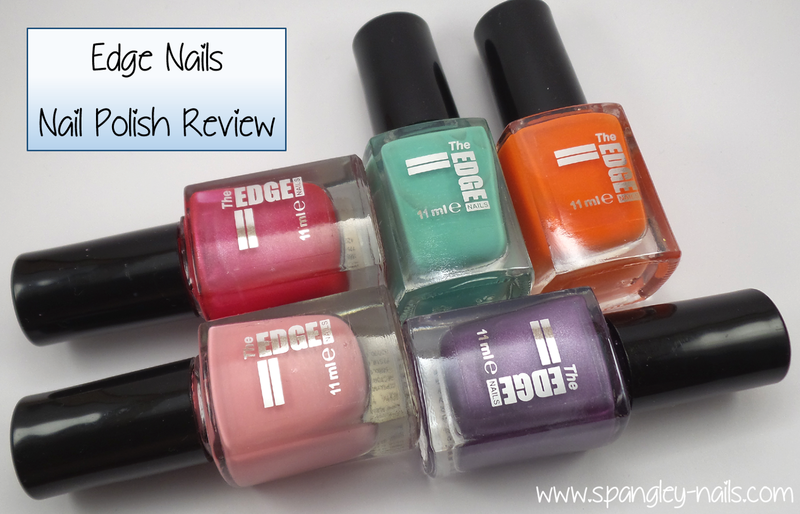 EDGE NAILS: AM I ON THE EDGE OF MY SEAT OR TAKING A BACK SEAT? 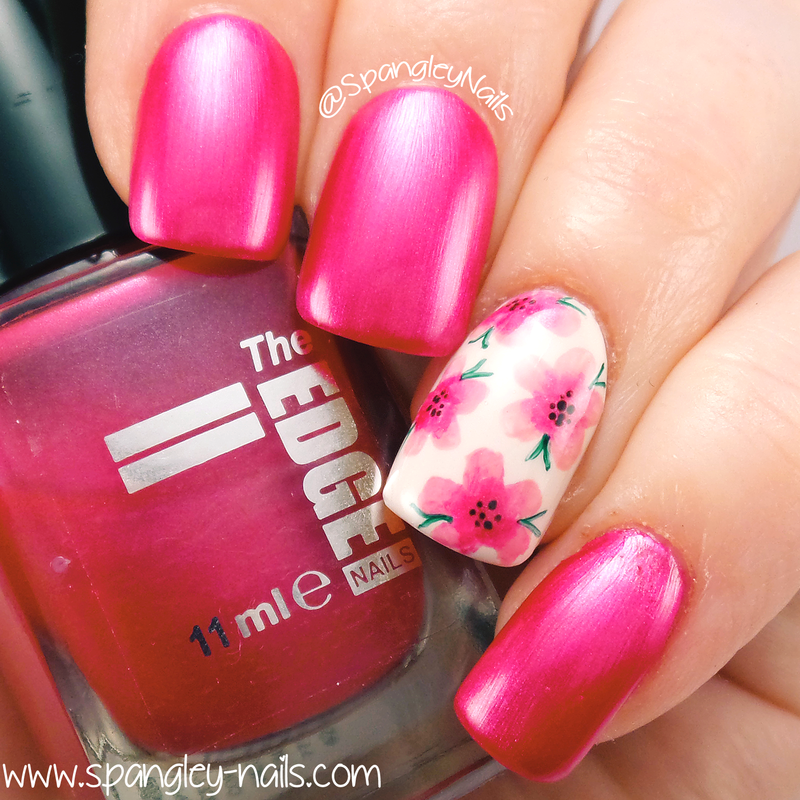 Edge Nails is a UK brand specialising in professional nail and beauty products. You may have seen them before if you have access to wholesalers/salon supply services. 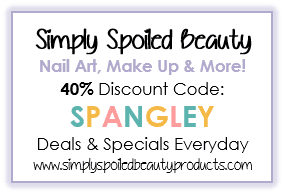 Aside from the professional products, there is also a collection of 45 nail polishes on offer from them, some are jelly, some are creme and I may have even spotted a glitter in there too. All swatches below are 2 coats, topped with 1 coat of Edge Nails Top Coat. I was utterly shocked (in a good way!) at how opaque these polishes were in 1 coat, I found myself applying a second coat out of habit more than need. This beautiful, and extremely wearable green is called Bond Street. If you want to make a statement on your nails, this is the colour to go for. This has an unbelievably creamy formula and applied like a dream. 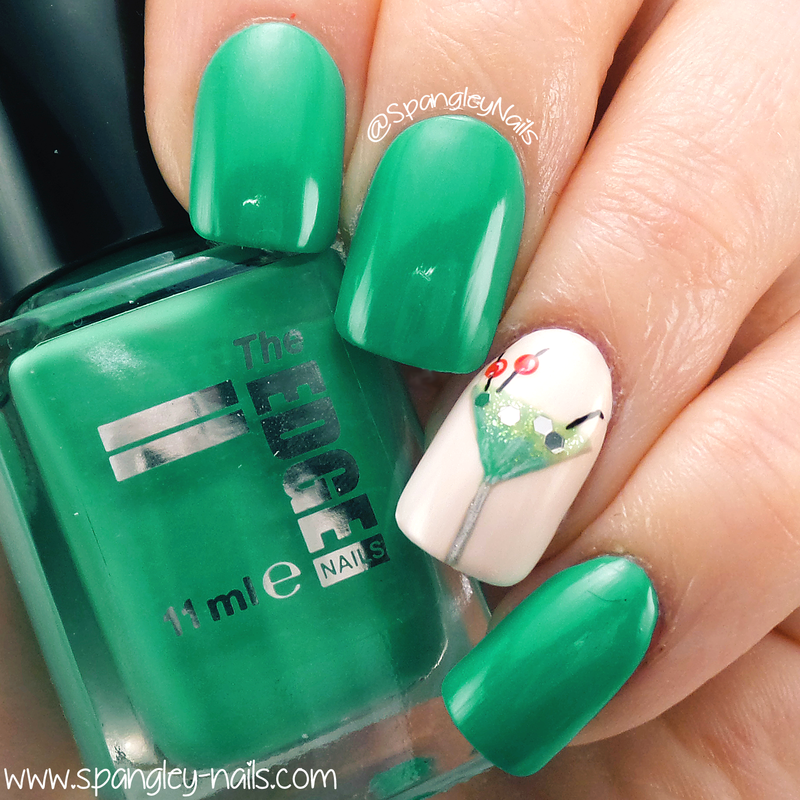 It sort of reminds me of Essie's Mojito Madness, but deeper. Malibu is a very creamy light baby pink. Again, this polish is extremely pigmented and I had no issues applying it. This very bright polish is called Sunset Bay. This shade is borderline neon, which I'm not a fan of (my skintone rejects these colours) but I absolutely loved this polish. The formula is smooth and applied flawlessly. This beautiful chrome-y polish is called Sydney. In my direct light-box light (pictured) it looks pretty metallic, but in darker real life scenarios its much less metal looking. Regardless, I absolutely loved this polish. Sometimes I have issues with seeing brush strokes when applying chrome polishes - I hate that! But not with this boy, I cannot brag more about the formula of these polishes. The final polish I have to share with you is Bali. This polish, like the one above, has a slight shimmer to it and is a very rich cerise pink. Again, I didn't mind the shimmer, nor did I have any issues applying the polish. Formula: Great density and HIGHLY pigmented formula. All polishes are drying to a high gloss finish which is a massive plus point for me. I don't think the top coat had much bearing on this, it didn't dry very quickly but it did seal in the design. Application: As I mentioned above, some of if not most of the polishes above, really only require 1 coat, but out of habit I used 2. They applied like a dream! 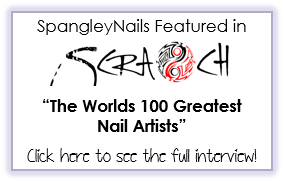 Nail Art: As evidently tried and tested, these polishes are excellent for Nail Art. Where can I buy these polishes? You can click here. 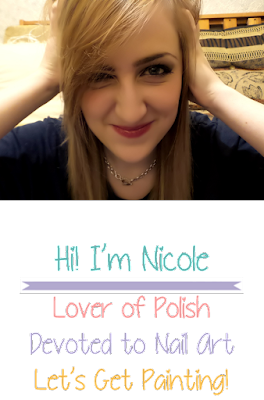 Or click of the name of each polish above. Any Coupon codes? Yup! 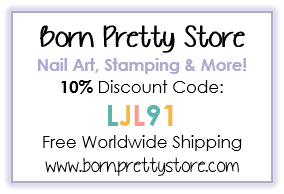 You can use the code "WELCOMEOFFER" at the checkout for 20% off, making these polishes only £2.21 GBP (inc. VAT/TAX). Please note though, you can use this code on your FIRST order only. Additional Comments: Stunning and easy to work with colours/polishes. 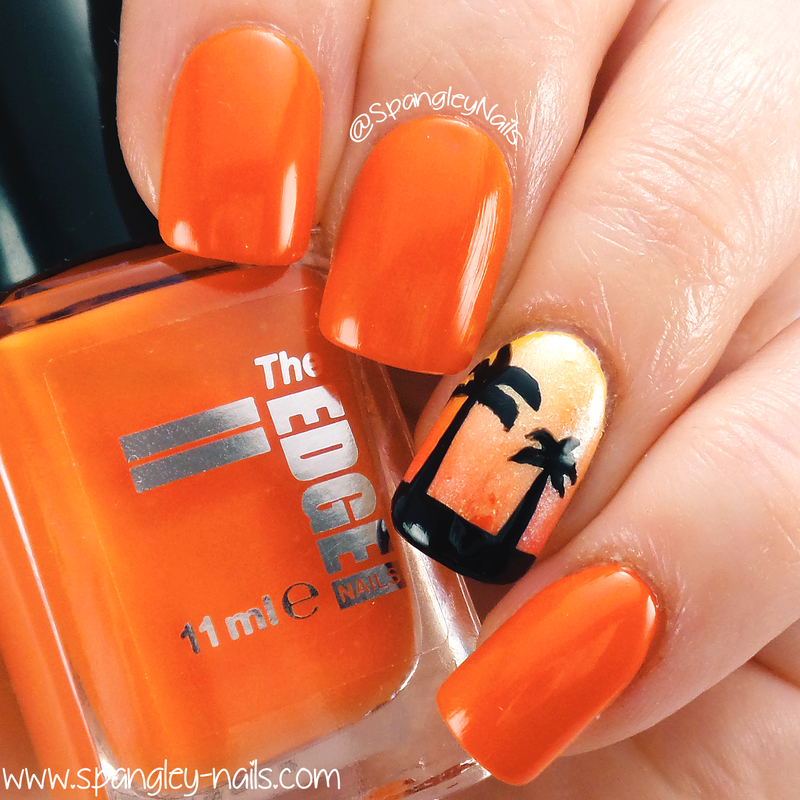 The shades offered by Edge Nails are contemporary and elegant. I would recommend them and repurchase should that be necessary. 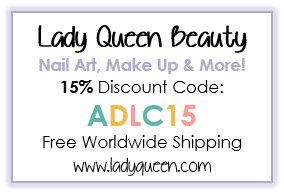 Come check me out on Instagram and Facebook where you will see Tutorials for all of the above manicures!